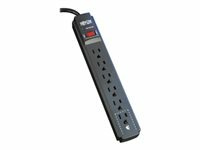 Tripp Lite's TLP725 surge suppressor offers economical AC surge suppression for protection of workstations, desktop PCs, telecom systems and other sensitive electronics. 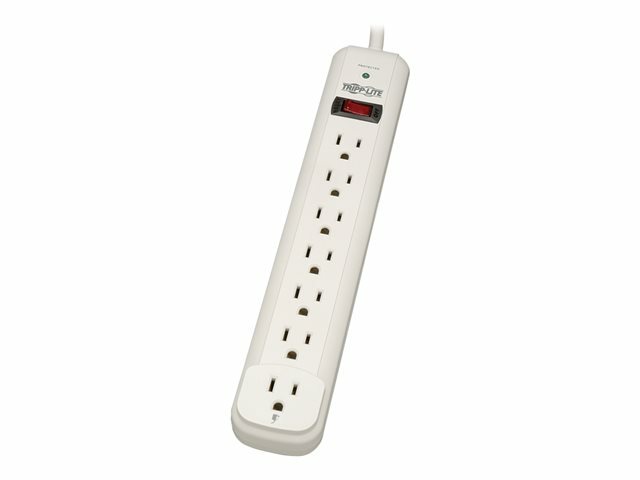 AC surge suppression shields connected equipment from damage and performance problems due to transient surges. 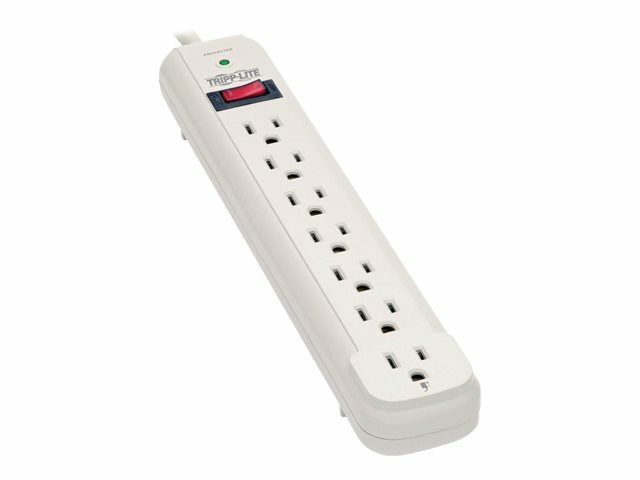 TLP725 offers 7 total outlets, 7.62 m (25-ft.) cord and diagnostic LEDs to warn of wiring problems and suppressor damage. 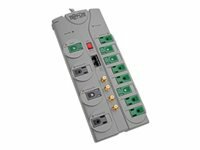 AC suppression rated at 1080 joules shields equipment from surges and line noise. 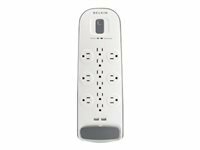 Attractive light grey housing with keyhole mounting slots and 1 designated transformer plug outlet offer convenient protection of desktop computer equipment and accessories.